Get competitive quotes on outdoor advertising in The Sun City! 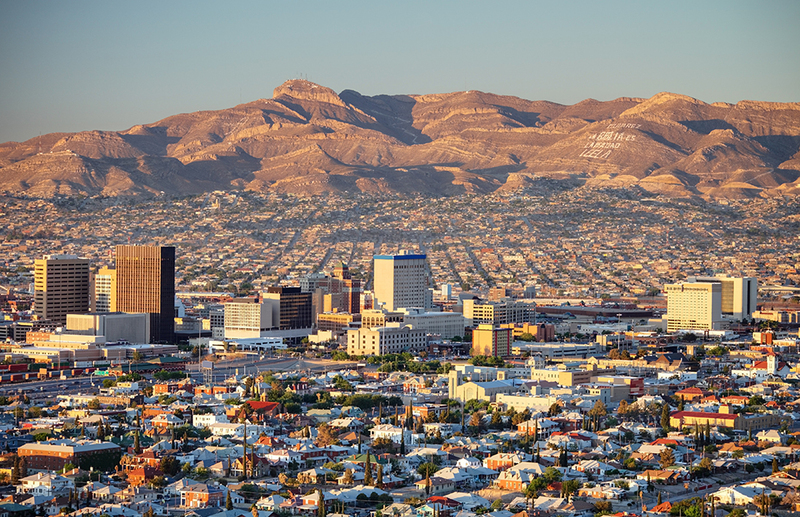 El Paso is a great city for outdoor advertising as it is part of Paso del Norte, the metropolitan area including El Paso-Juárez-Las Cruces which has over 2.7 million people. That is a huge number of potential customers that you can get your campaign in front of. Additionally, the city hosts the annual Sun Bowl college football post-season game which always attracts many fans and visitors to the area each year. Buying a billboard along any of the frequently traveled roadways to the stadium is only one of many incredible options for outdoor advertising in El Paso. You can also choose to have your campaign constantly circulate the city with transit advertising, or you can decorate the streets of the beautiful city with the purchase of a street furniture advertisement. There are so many awesome neighborhoods throughout the city such as Downtown and Central El Paso, Mission Valley and Northwest El Paso to name a few. Select any of the advertising formats below to get started. Or, search BillboardsIn’s extensive database to start receiving the competitive quotes that you need. El Paso is a phenomenal city for outdoor advertising, so do not wait to take your business to the next level.